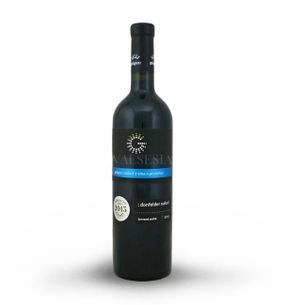 Dornfelder wine is distinctive, dark red to dark garnet in color with a very nice soft, fresh fruit aromatics. On the palate the wine is extractive, powerful, pleasantly full. The aroma, but also taste discover berries, cranberries, and nuts. Ripe and rich wines of this variety are suitable for aging in oak barrels. Wines Dornfelder varieties are suitable for medium-term archiving. Fresh wines of this variety is suitable for lighter meals like the pasta, more mature, fuller wines to serve harder or korenistejším preparations of meat, grilled dishes, game and a significant cheese. 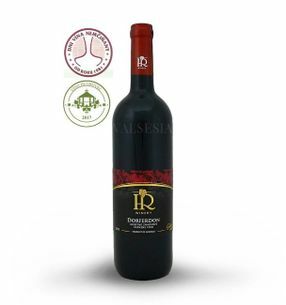 HR Winery Dorferdon 2015, quality wine, dry, 0.75 l Dornfelder a beautiful ruby ​​red color and intense captivating aromas of black currant and dark wild berries, especially blueberries. Well-balanced, harmonious, pleasantly full-bodied wine with plenty of acid and soft tannins.